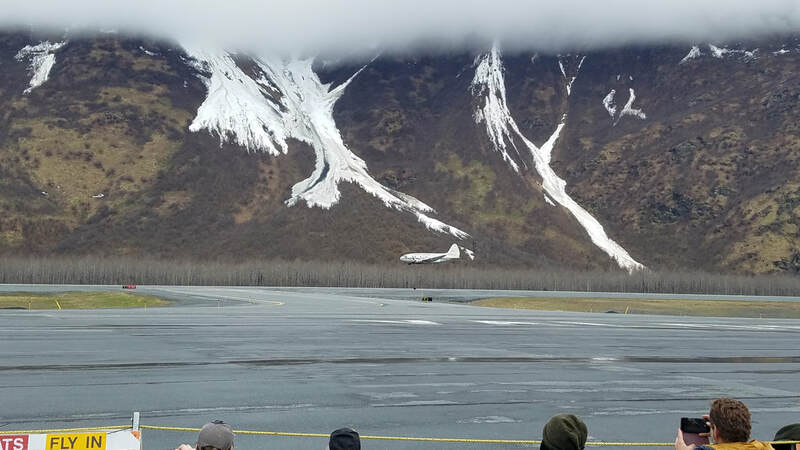 Where Less is More and Lower is Better: Flying Low and Slow in Alaska! 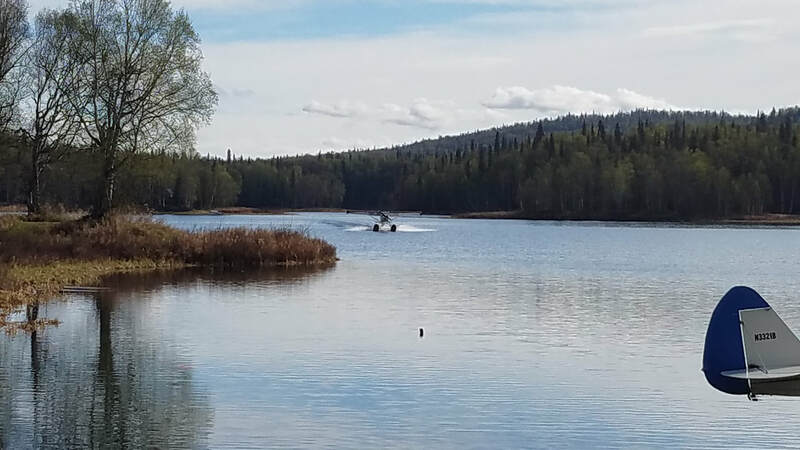 ​I recently traveled to “The Last Frontier” (yes, you guessed it, Alaska!) for work. When I realized I was scheduled to be in Anchorage only a week after the annual Valdez Fly-in and Air Show, I booked an earlier flight and requested Paid Time Off (PTO). I am so glad I did! 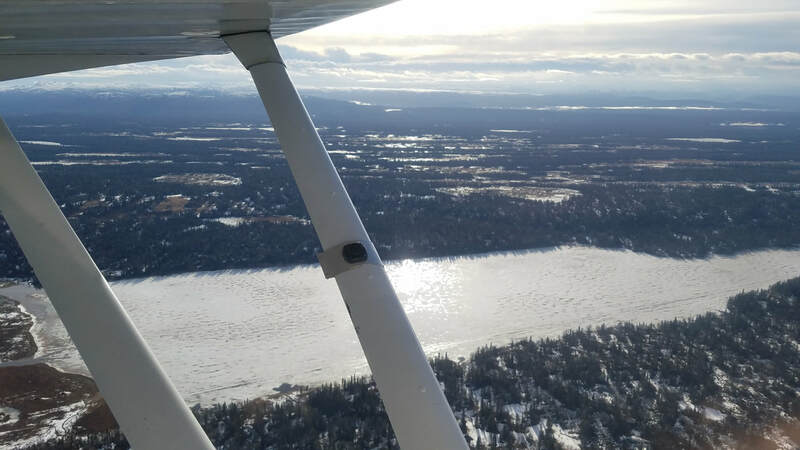 The main day of the annual Talkeetna Fly-in was the day before my work engagement started as well so I was able to attend both events and, of course, do a bit of flying while in both places. 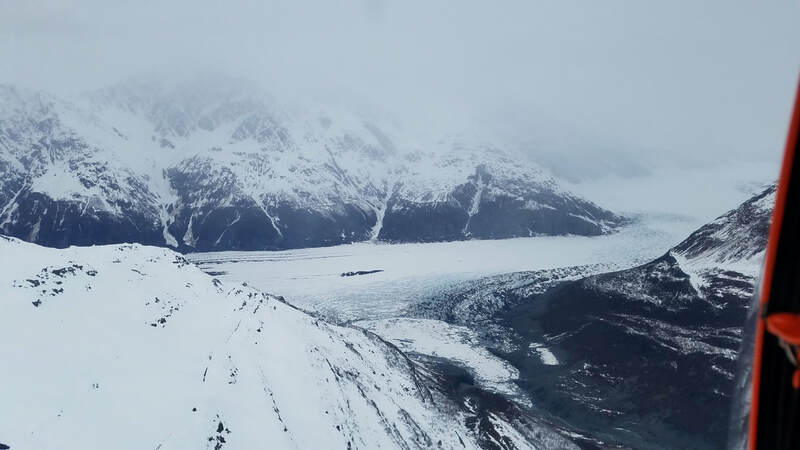 One cannot visit Alaska without taking to the skies. ​Flying means different things to different people. 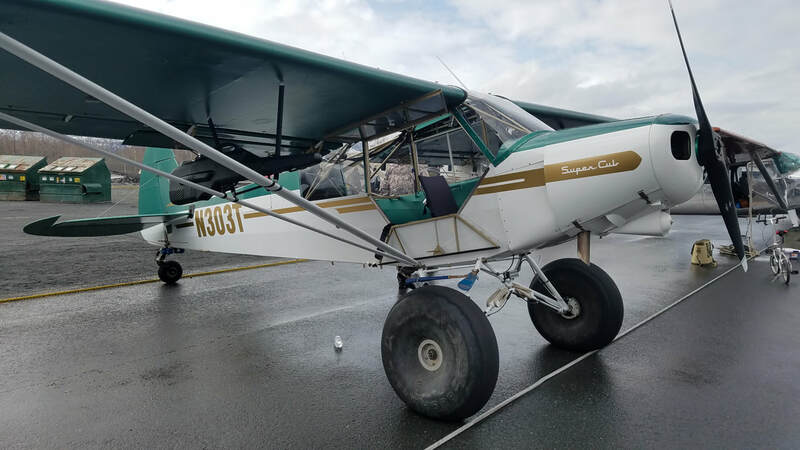 However, aircraft are the lifeblood of Alaska; they are essentially “flying pick-up trucks.” They often rotate between having bush wheels, floats, and skis throughout the year. 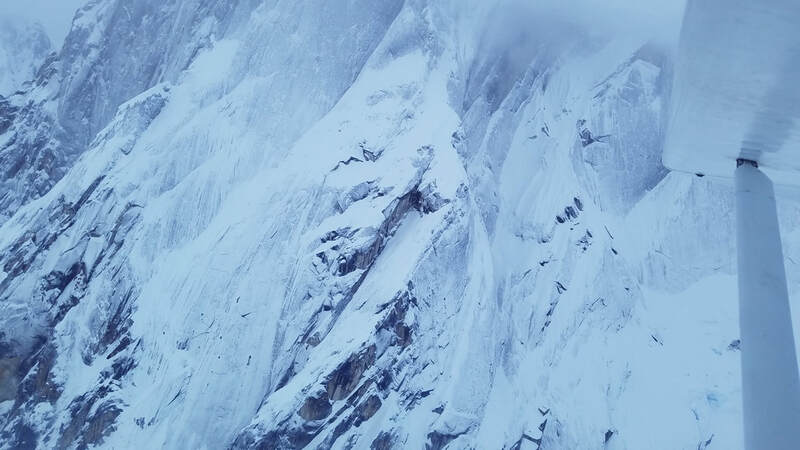 Bush pilots fly in and around the backcountry, in a mostly roadless state, where only aircraft can provide access and bring supplies. They land on different kinds of airstrips, river gravel bars, roads, lakes, mountain tops, and glaciers among other places. ​Attending both fly-ins proved to be completely different experiences. While both offered the fairly typical fly-in events (airshow performances, a poker run, booths, food, etc), the Valdez Short-Field Take-Off and Landing (STOL) competition was the original (almost empty weight with minimum fuel and the pilot) demonstration while the Talkeetna one was a gross-weight STOL competition, which represents more what bush pilots experience (multiple passengers and/or lots of gear). 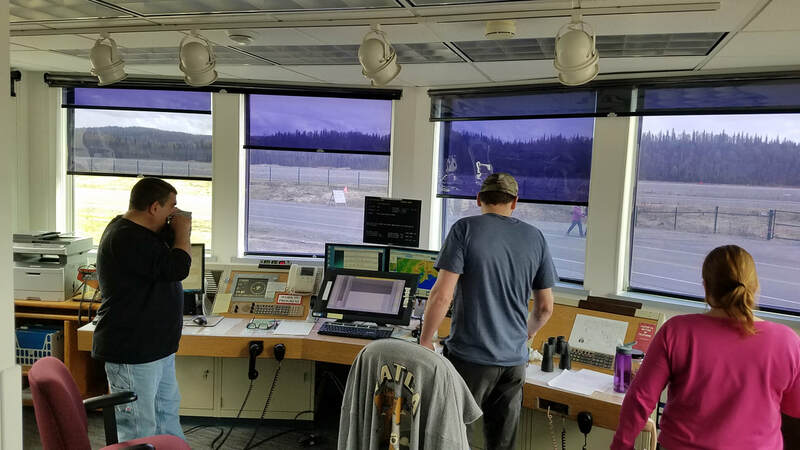 In addition, Valdez offered presentations, a balloon bust, flour bombing, and a “bonfire on the beach” flight run while Talkeetna included a scavenger/treasure hunt and a unicycle race. Ha! The weather forecast for Valdez was calling for a 90-100% chance of snow showers but I'm glad I did not listen to it and went anyway. It did not snow once and the ceilings were pretty good from early Saturday afternoon. I later learned from the locals that weather forecasts in Alaska are normally wrong and are not to be trusted. Yup, it proved that way throughout my time there. ​Per STOL competition rules, takeoffs begin from the drawn starting line and judges measure where the main wheels leave the ground and, on landings, mains cannot touch down before the drawn line and distance is measured to where the mains stop. Both distances are combined to add up to a total score. Two runs are scored and the best of the two is entered. The lower, the better! All participants were very impressive to watch; however, only a few can win and set new records. 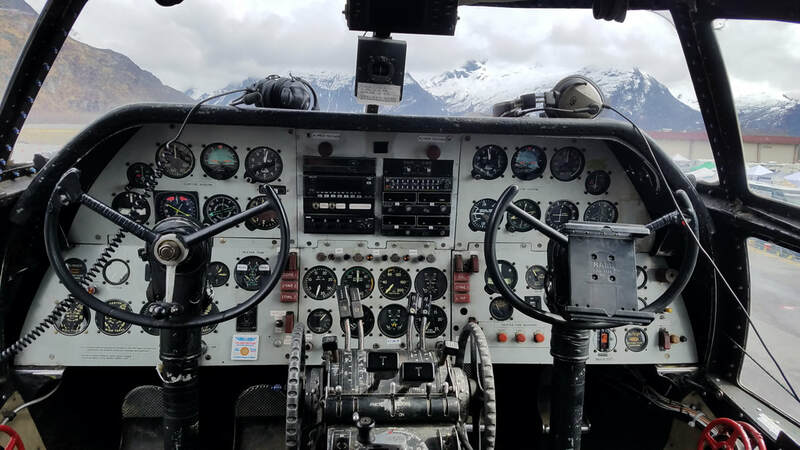 A beautiful Cons-Vult L-13 flown by Chuck Miller had a 238 score with a 101 ft take-off and a 137 ft landing in Valdez. A Maule 235 flown by Isaac Bedingfield won the Light Touring Class with a 183 score, composed of an 85 ft take-off and a 98 ft landing. The Light Sport Class achieved two new records: an 11 ft take-off and a 9.5 ft landing by Frank Knapp (who ultimately won the class and seen on takeoff and landing below) and Dan Reynolds respectively. Yes, those are not typos. My favorite, the Alternate Bush Class, was spearheaded by Toby Ashley with a Carbon Cub. His best run had a 29 ft take-off and a 76 ft landing. Jacob Williams won the Bushg Class (with nothing but Piper PA-18s) performing a 58 ft takeoff and a 78 ft landing. All classes were won by Alaskans but, believe it or not, Florida was well represented as well. 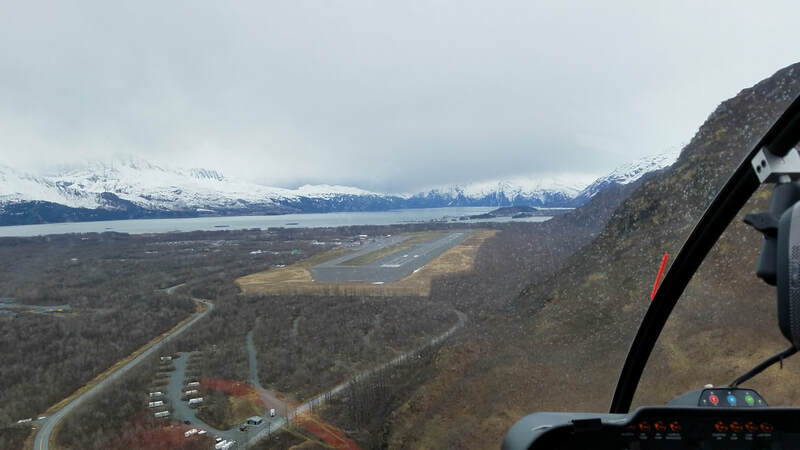 ​The phrase “there are old pilots and there are bold pilots but there are no old, bold pilots” very much applies in Alaska, too. Bush pilots are the rare breed I thought they were but not the “cowboy pilots” I thought they would be. Total command of the aircraft is an absolute must and risk mitigation, weighing situations carefully and making smart decisions, is a way of life. 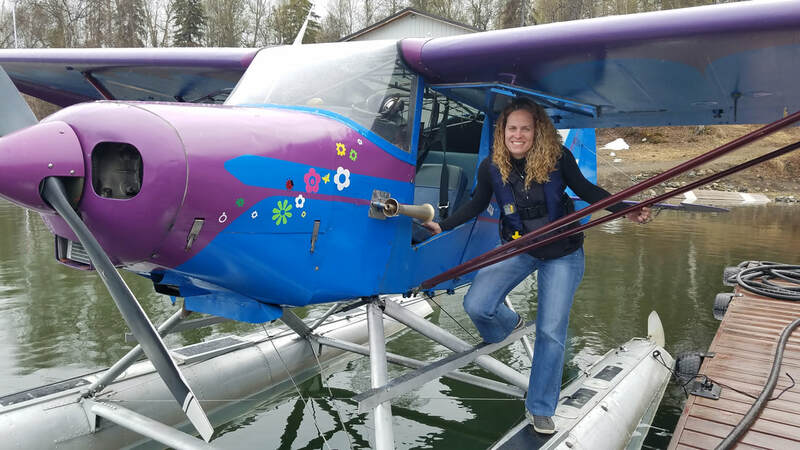 ​While I did attempt to fly with all “landing gear modes” (big tires, skis, floats, and skids), I was not successful in achieving the skis one because it is too late in the season and the weather did not allow a lot of higher elevation flying. That’s ok; that gives me an excuse to come back at a better time (I hear March is pretty good). As always, all aircraft provided different missions, experiences, vistas, adrenaline, etc and each requires different skills. 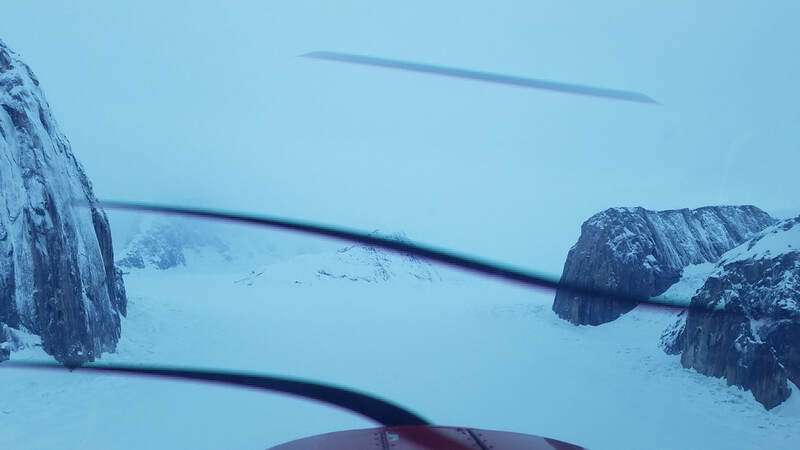 And I did get to land on a glacier – with the helicopter (again)! This page's top picture shows this. That’s always a highlight for me. 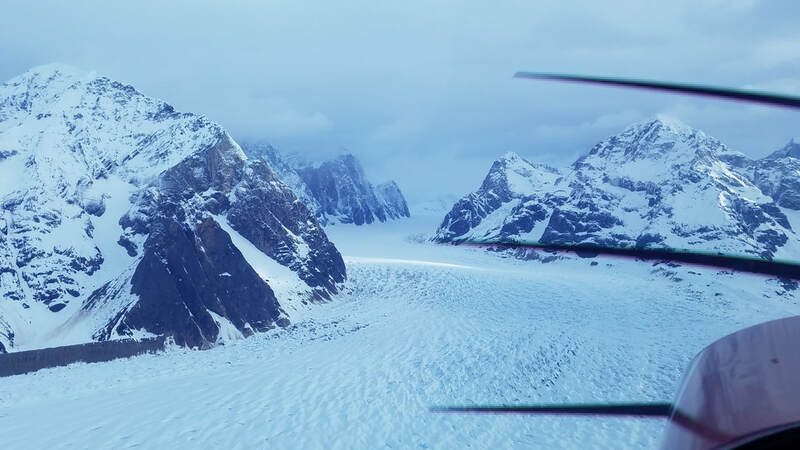 Landing on a glacier is just a special treat most places cannot offer. And the views from the helicopter are just like no other... Do I sound bias? 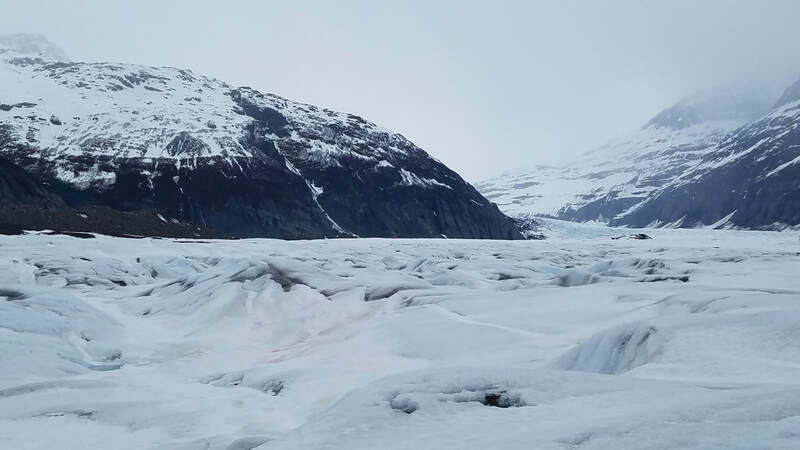 A different view of the glacier and its amazing "terrain"
And then there was the big, Alaska tires. 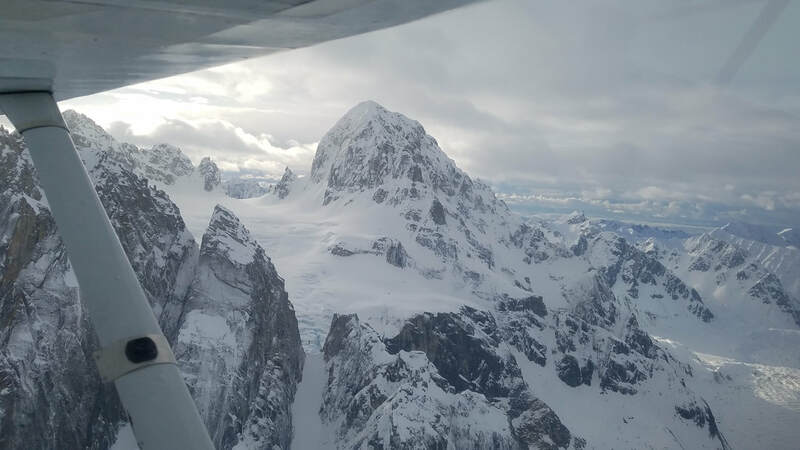 I’ve had the privilege of flying in other bush planes in the past but never in the “home state.” Flying through Denali National Park with one provided fantastic views (although not of Mount Denali itself due to weather). I have lots and lots of pictures from this flight but here is a sampling. 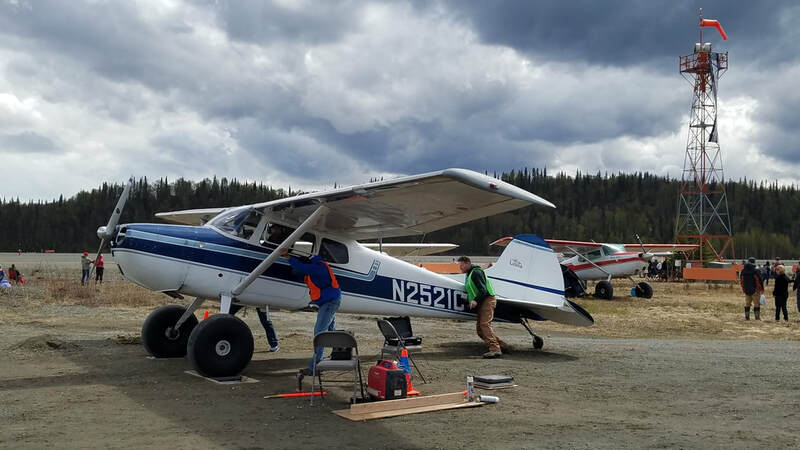 ​At the Talkeetna Fly-in… Kevin Doyle with a 1,695-lbs PA-18 Super Cub won, by far, the Certified Bush class with a 124 ft take-off and a 105 ft landing. 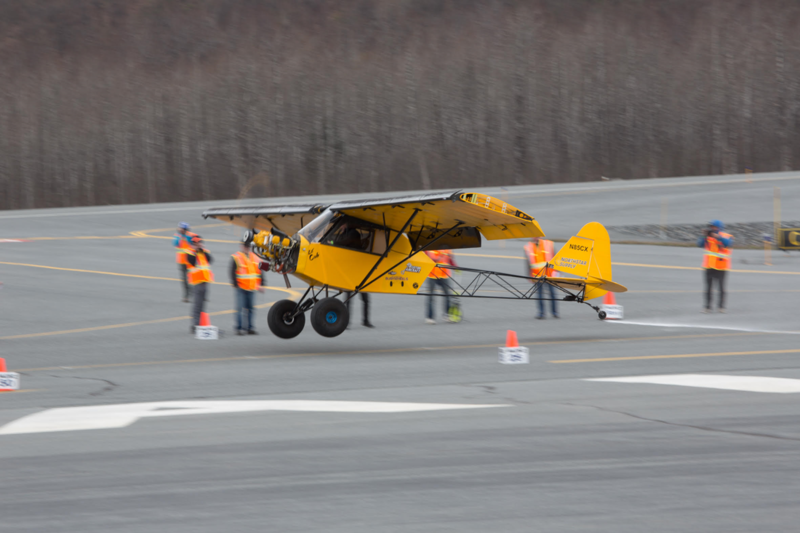 Tom Hudzinski won the Experimental Bush class with a 1,833-lbs Backcountry Cub and an 86 ft take-off and 59 ft landing. Shawn Holly took the Certified Mid Class with a 2,132-lbs Cessna 170B and a 248 ft takeoff and a 147 ft landing. 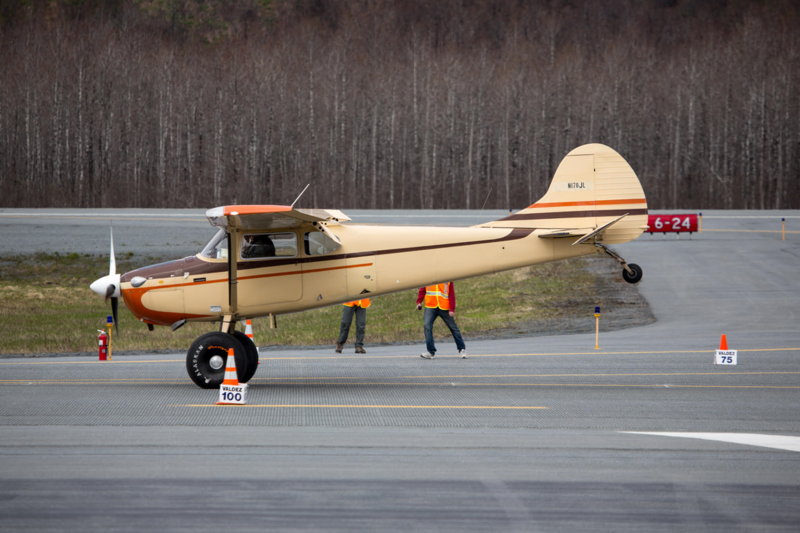 And, last but not least, the Certified Heavy class was championed by Chad Sutdtell and his 2,511-lbs Cessna 180. His best run showcased a 312 ft take-off and a 251 ft landing. 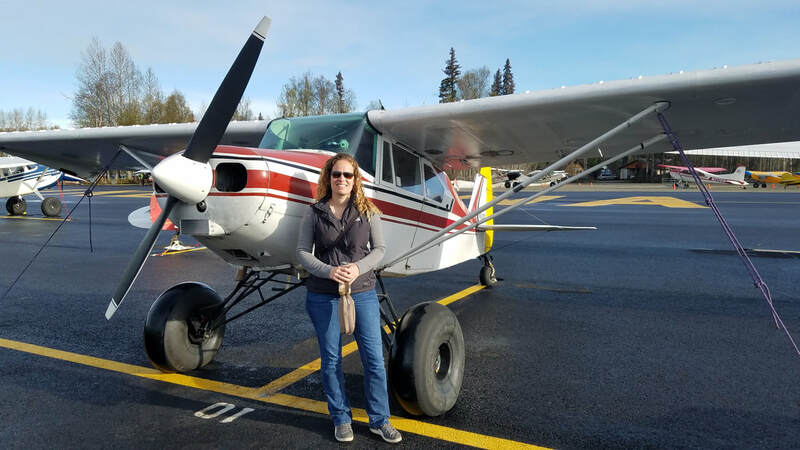 Can you believe Talkeetna still has a Flight Service Station (FSS)? Good old times! The Talkeetna Airport is the hub for the majority of flights to/from Denali National Park's base camp. You can see most of them on the ground because the weather up in the mountains was not conducive. 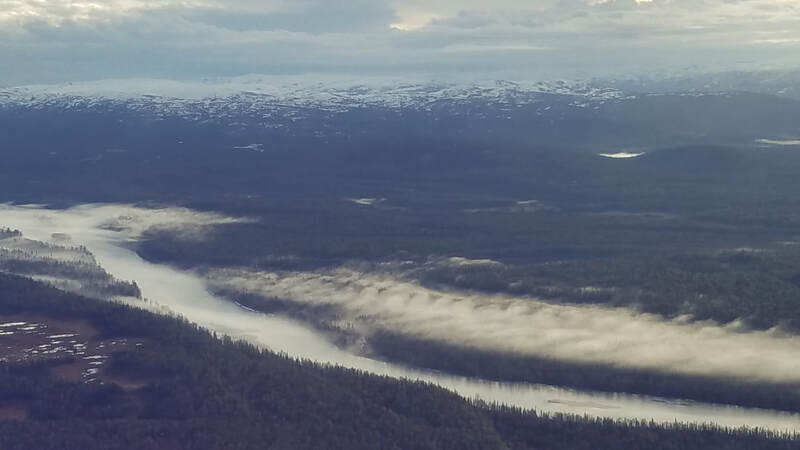 ​So, when are you planning your trip to Alaska – not the birthplace of aviation but certainly the one that has perfected it!? If you are particularly looking for STOL events, the Lower 48 also has some good STOL demonstrations/competitions as well. You may consider attending the one AOPA is hosting at the Missoula, MT Fly-in June 15-16, the ones at EAA’s Air Venture in Oshkosh, WI, or the 5th Annual Texas STOL Roundup in Hondo on September 28-30. Some of these showcase obstacle in addition to traditional STOLs.